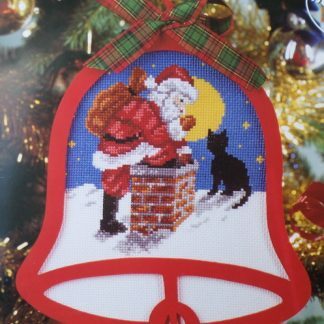 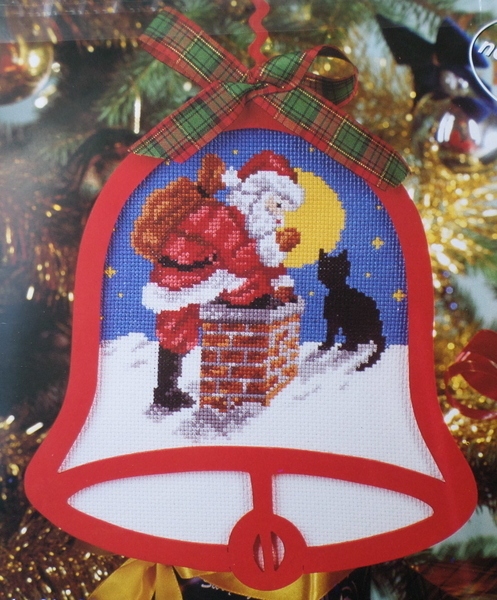 A design of Santa heading down a chimney, watched by a black cat. 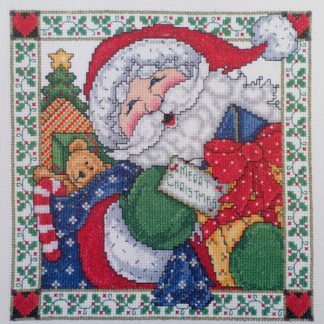 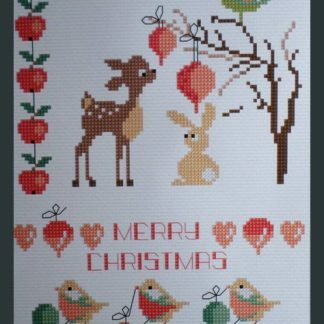 This cross stitch kit has embellished Aida fabric. 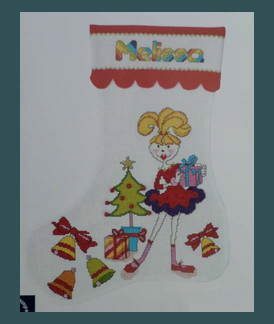 This means that the design is printed on the fabric and not all of the picture needs to be stitched. 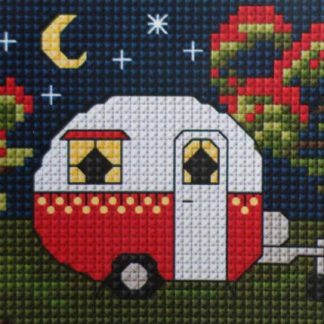 The finished size is 21 x 24 cm. 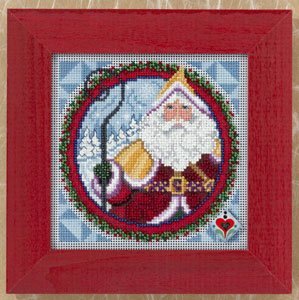 The kit includes 14ct embellished Aida fabric, cotton threads, the red bell shaped wooden frame and a needle.